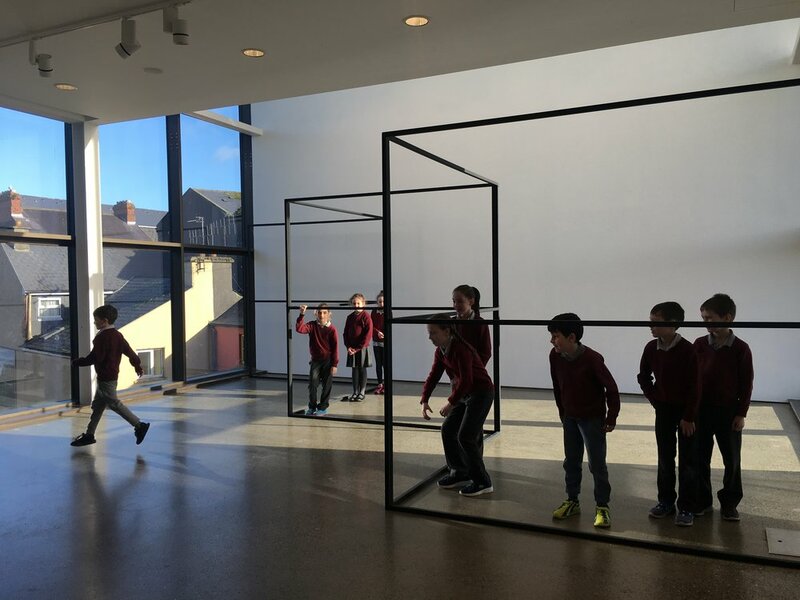 Artist Siobhan McGibbon and students from Dromore National school in Bantry have worked together to create artworks as part of the Elemental exhibition at Uillinn: West Cork Arts Centre. 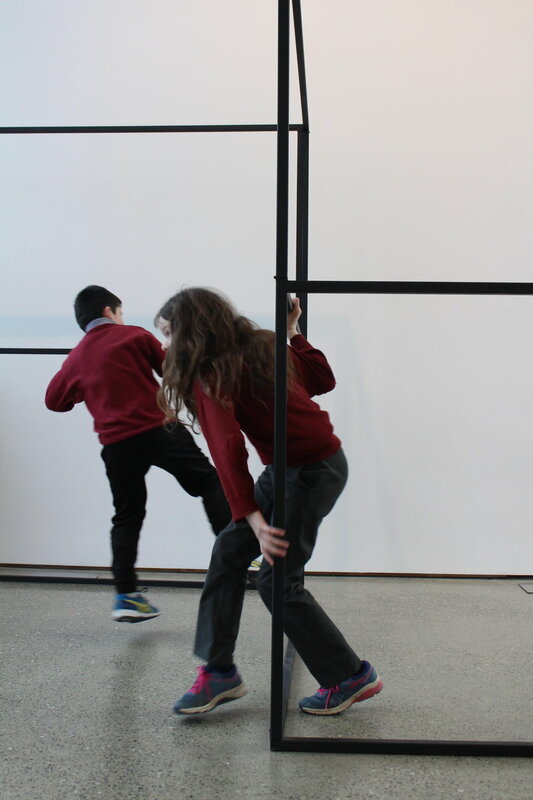 The residency took place both in the class-room and in Uillinn, where the brief for the students was to work with Siobhan to research, experiment and create their own artworks, responding to artworks by Caoimhe and Karl, and the exhibition themes. For the final 10 days of the exhibition, these collaborative artworks have joined the work of artists Caoimhe Kilfeather and Karl Burke. The fort is a place for hiding and spying. The periscopes act as a tool for seeing over the side of the balcony, or for spying undercover. Stop-motion animation. The images you see in this artwork include sculptural maquettes made in teams, and performances in response to Karl Burke's 'Taking a Line' sculpture; exploring scale, perspective and illusion. Looking at stop-motion animation artwork, students and teacher Neasa. This week they also tested out the periscope. Built by technician Stephen, Siobhan and the students conceived of the periscope as a way for smaller children to see over the balcony. In this session, Siobhan created a short animation with the students. Each student created 2 seconds of animation by re-arranging paper cut outs. The exercise expanded upon ideas that arose from discussing Karl’s work, such as serial forms and repetition. The students also designed flags for their fort, an idea which emerged from the previous fort-design pitching session. PITCHING IDEAS TO TECH TEAM! In this session, Siobhan and the students thought about exhibition-making and how they would respond to the ideas in the exhibition. 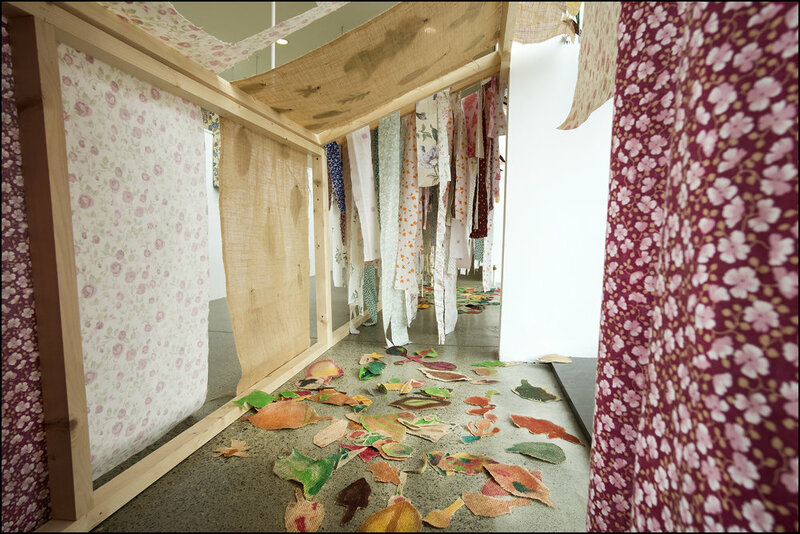 The workshop began in the space with Caoimhe Kilfeather’s work, where the class discussed what the artist might have considered when she designed the work for that particular space. The class talked about scale, interactive, robust, tactile and logistics such as fitting sculptures through doors, taking objects apart and putting them back together. The next exercise took place in their own exhibition space (the balcony), where Siobhan explained that artists must always consider the area they are exhibiting in. With this in mind, Siobhan explained that their fort must leave enough space for wheelchair access, must adhere to all health and safety regulation, and must be robust enough for audience interaction. Siobhan told the students how artists who make sculpture sometimes work with other people in order to get their work made - people such as engineers, carpenters and technicians. The students were then given the task of pitching their fort-building ideas to the Uillinn tech team. The tech team gave the students feedback on how they (the tech team) might assist in the construction of these structures, and how feasible the proposed ideas were. The students and Siobhan could then use their creativity and problem-solving skills to respond to this feedback, in the development of their designs. Inspired by Caoimhe’s structures, the class decided they wanted to create their own fort, for their exhibition, and began the design process. This session took place in the classroom and focused on Karl Burke’s work. Siobhan showed the students slides of Karl’s work, encouraging idea-sharing about perspective, repetition and responding to space. The group discussed why Karl might have chosen to create each work for each space or re-ordered a work for a specific space. The group talked about what each work may look like from different angles and thought about the experience of walking around and through each piece. Siobhan gave the students an exercise in repetition and form. 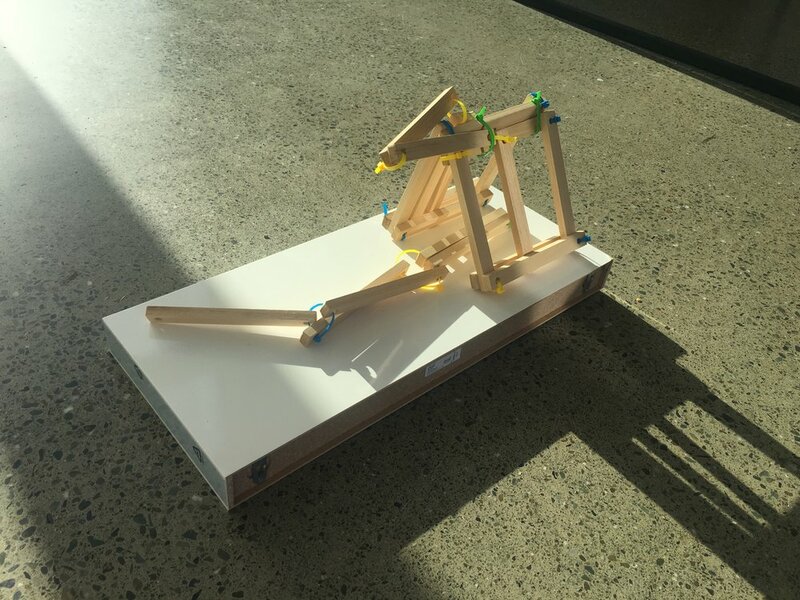 Additional tasks required the students to work in teams to problem-solve spatial and compositional challenges; using both the materials Siobhan had provided and their own classroom furniture. Each task built upon the previous experience and developed the concepts and skills needed to create their own artworks for the exhibition. Inspired by Caoimhe’s structures, the class decided they wanted to create their own fort, for their exhibition, and began the design process. In the first exercise, the students designed forts without any limitations. Imagination ran wild; the students discussed desert forts, castles, slides, eye recognition gates, trap doors, flags, moats and fingerprint scanners. 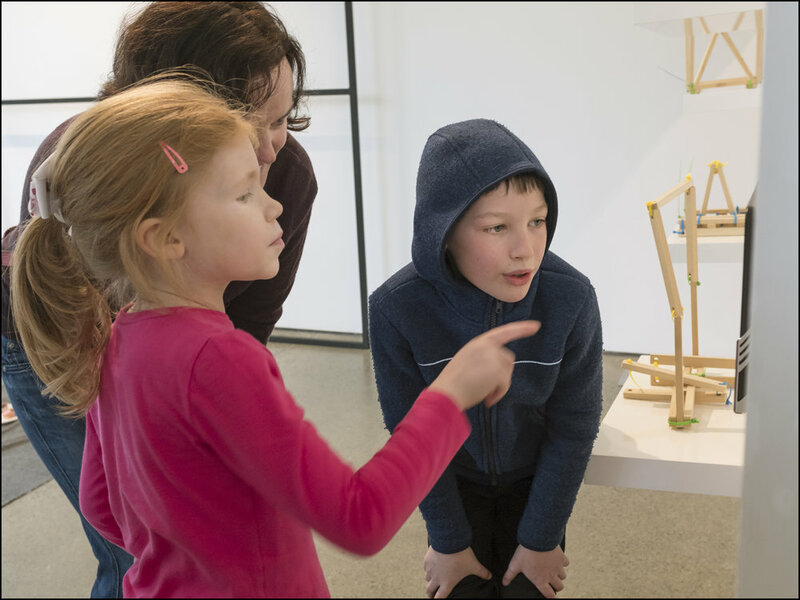 Students considered the different perspectives for viewing the artworks, and discussed where their own artworks could be sited. Moving around and through steel sculpture ‘Taking a Line’ by Karl Burke. This session took place in the gallery. For most students, it was their first experience of an art exhibition. 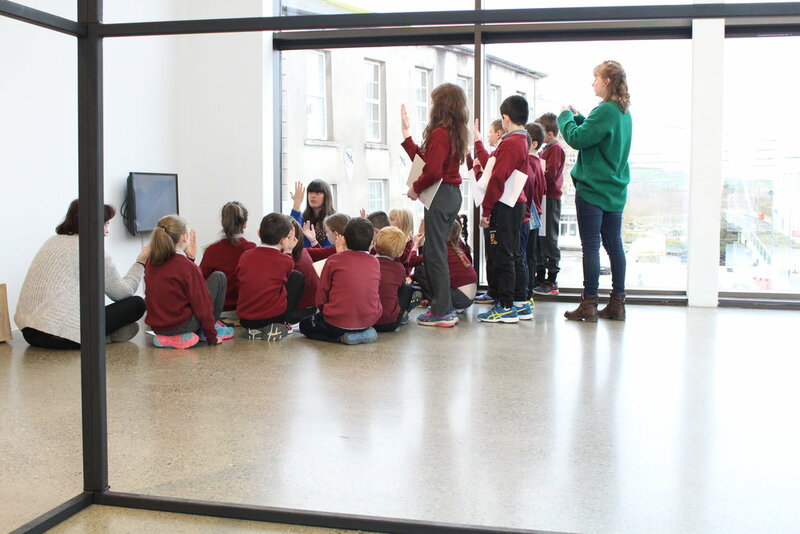 Siobhan guided the students into each gallery space, where they had time to explore and interact with the artworks, before regrouping to discuss the work. In each space, Siobhan asked the students what they thought about the artwork and why. 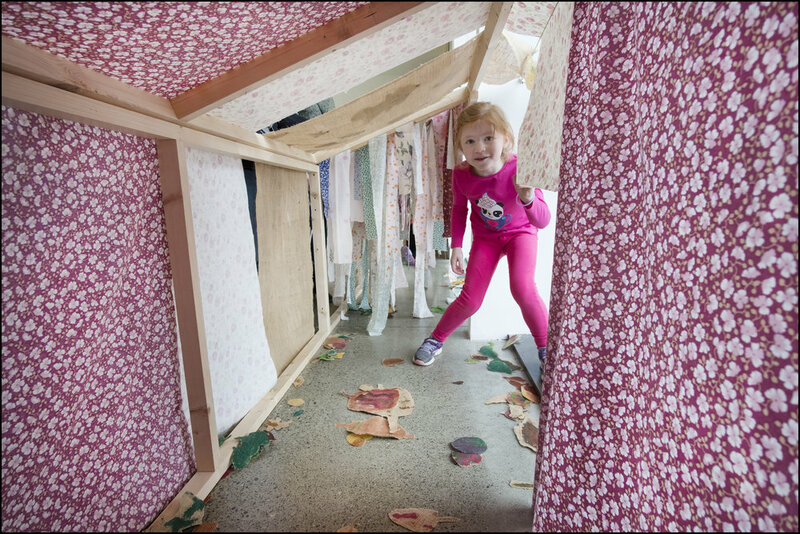 Caoimhe Kilfeather's work provoked conversations about space, scale, materials, nature, organising, alternative ways of drawing, fort-building and play. 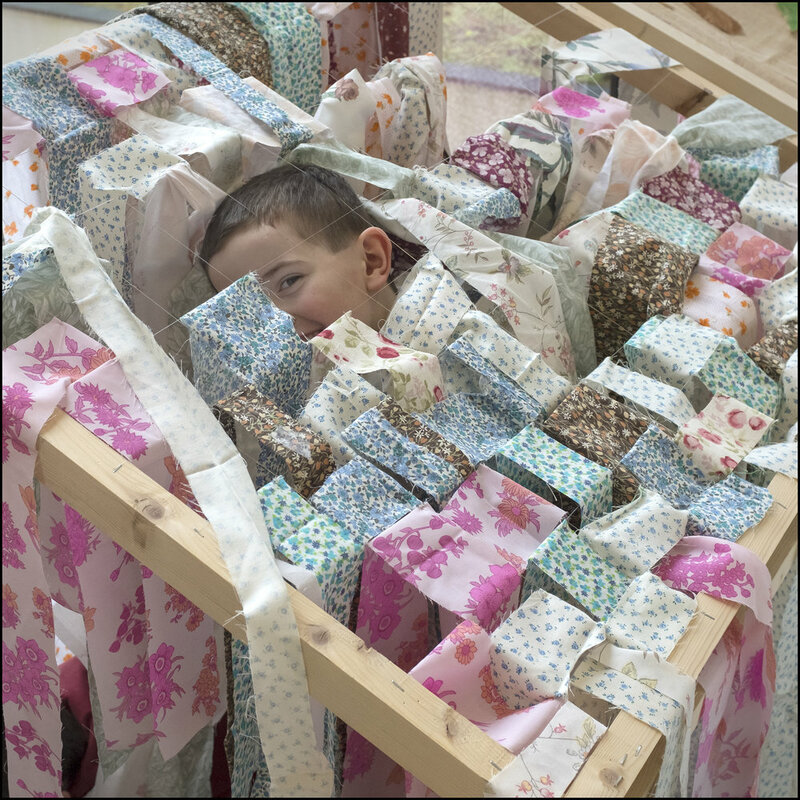 After the initial discussion in Caoimhe’s installation, the children worked in groups to create compositions from the mobile elements amongst Caoimhe’s artworks - elements such as organdie leaves, sweeping brushes, bamboo beaded ropes, cushions and squares of fabric. Karl’s work provoked conversations about scale, movement, space, minimalism, repetition, perspective, construction, materials and portals. 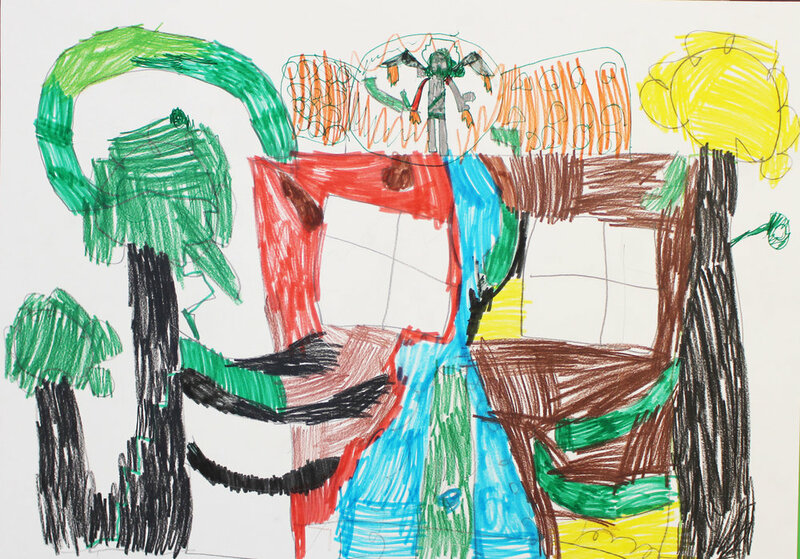 After the initial discussion, Siobhan asked the students to draw the sculpture from various angles, initiating conversations about perspective, designing an artwork, exhibition-making and the viewers’ experience of a work.